Well, what have we here? Two of the greatest siblings to bless the music industry with their greatness continue to be great? Sounds great to me. Less than a month after it made its triumphant debut, Solange’s undeniable third studio album A Seat at the Table is No. 1 on Billboard’s album chart. While this achievement is all things wonderful and beyond deserved, it also happens to be historic: Not only is it the "Losing You" singer's first No. 1 LP, but as Billboard.com points out, Solange and Beyoncé are the first pair of sisters to both reach No. 1 on the Billboard 200. Some have come close (you allllmost had it, Ashlee Simpson and Jessica Simpson), but the Knowles sisters are the first and only to make it happen. In addition to being the sole sister duo to both have No. 1 albums to their names, Solange and Beyoncé are one of only a few sibling duos to accomplish this impressive feat. The first were Michael Jackson and Janet Jackson, and the second sibs were Master P and Silkk the Shocker. MJ and Janet. Master P and Silkk the Shocker. And now Solange and Beyoncé. That's it. Solange’s A Seat at the Table joins Beyoncé’s Dangerously in Love, B’Day, I Am… Sasha Fierce, 4, Beyoncé, and Lemonade at the No. 1 album party. 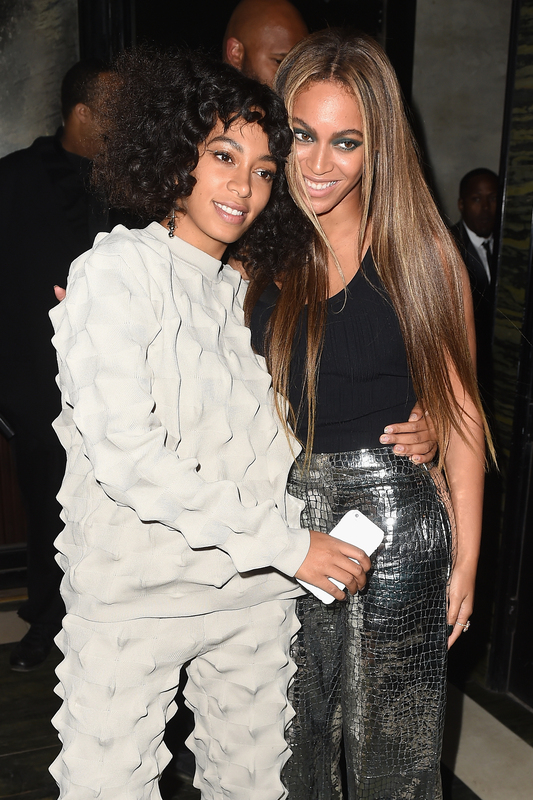 Welp, I guess that's just another awesome thing to add to the "Why Beyoncé and Solange are living legends" list.